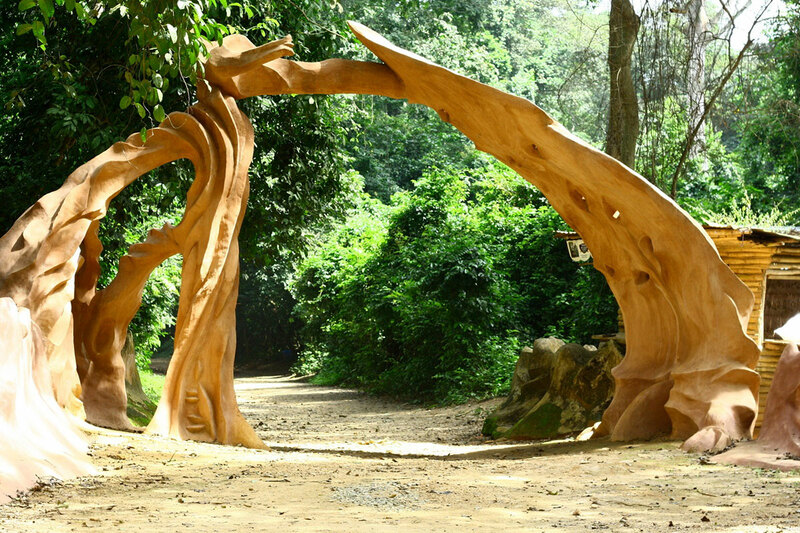 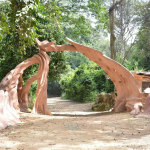 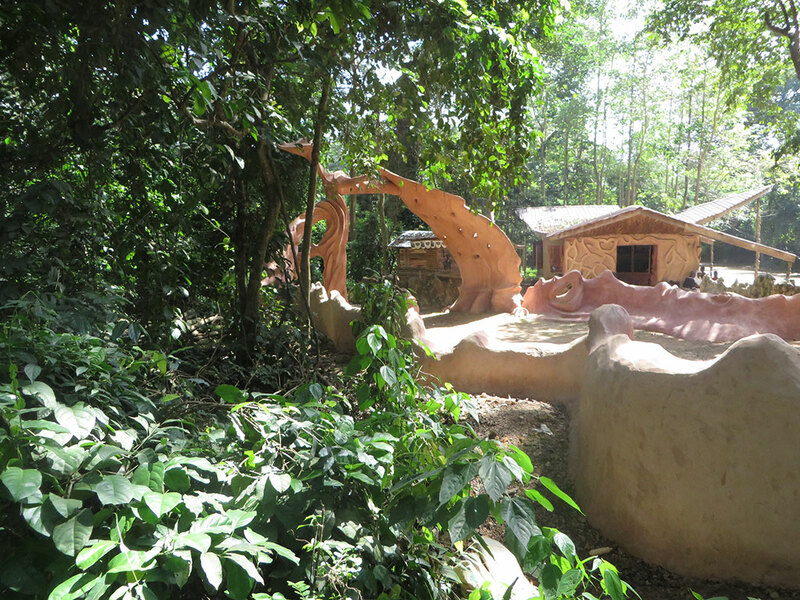 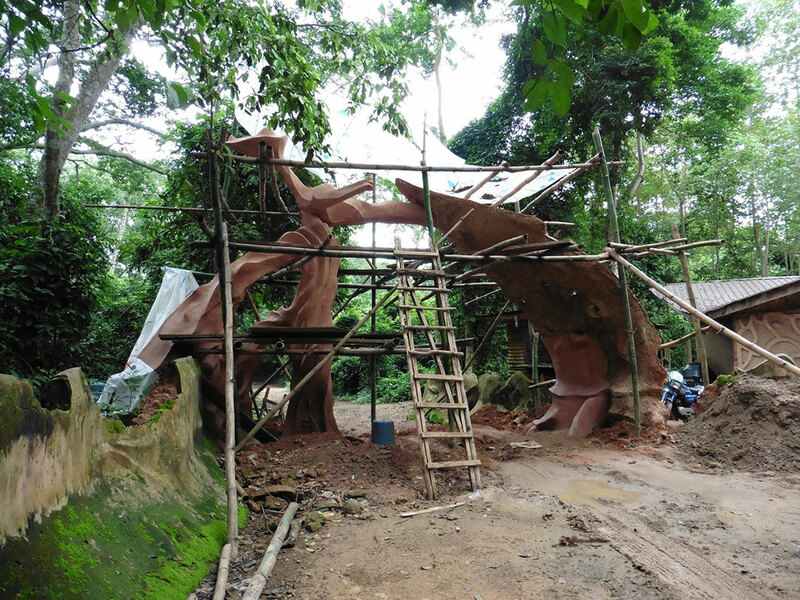 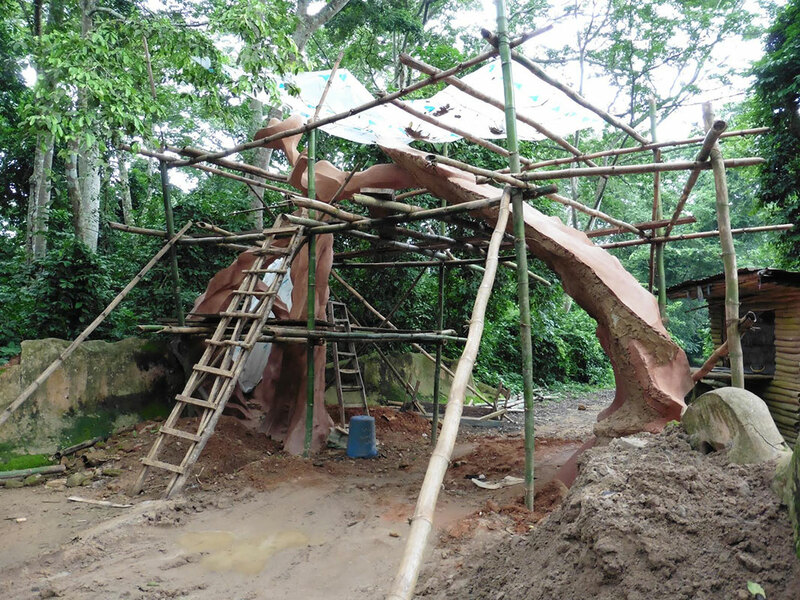 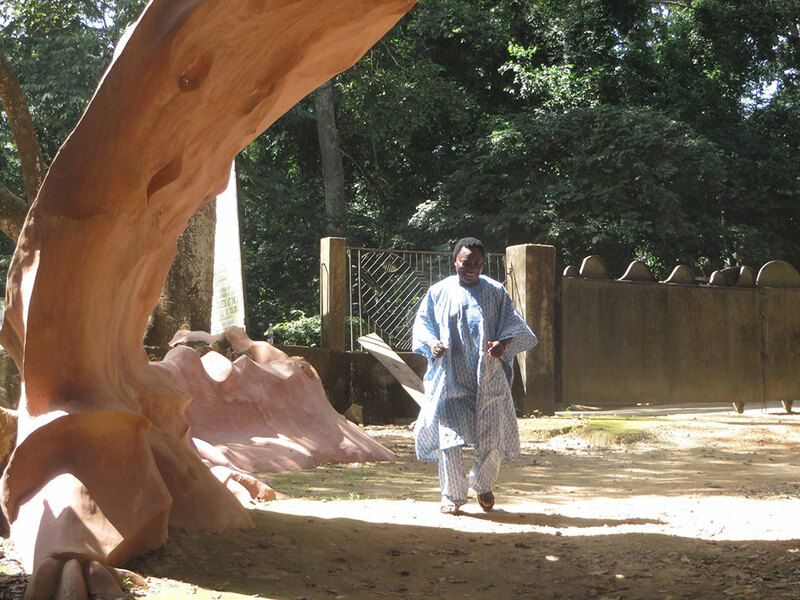 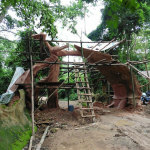 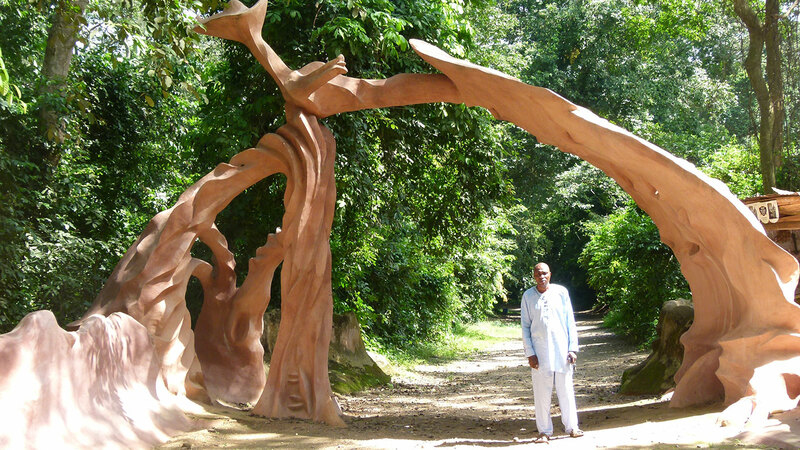 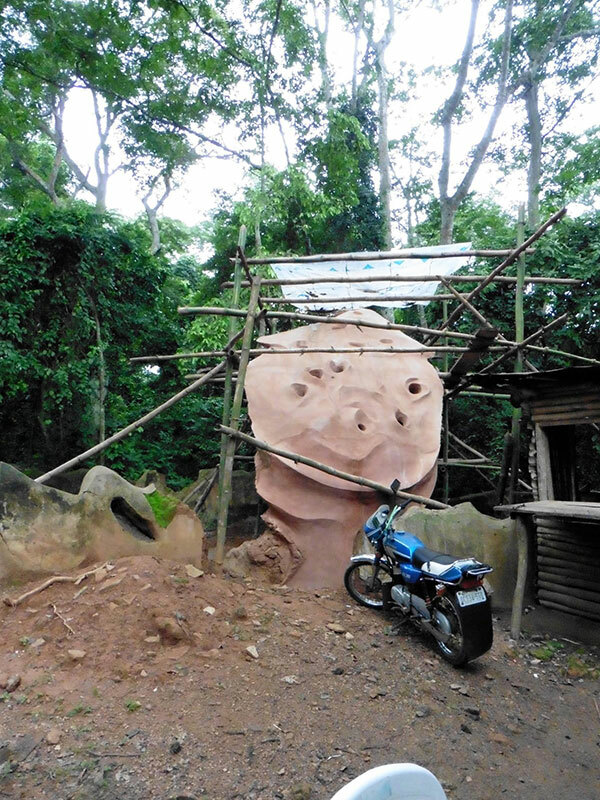 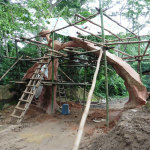 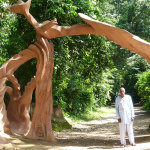 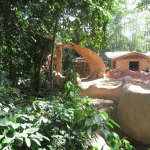 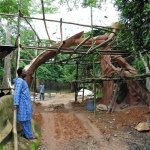 This outstanding cement sculpted arch, the original entrance to the Sacred Groves, is the latest work of art to be completed by the New Sacred Art team. 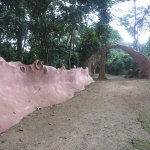 The installation had collapsed completely many years ago. 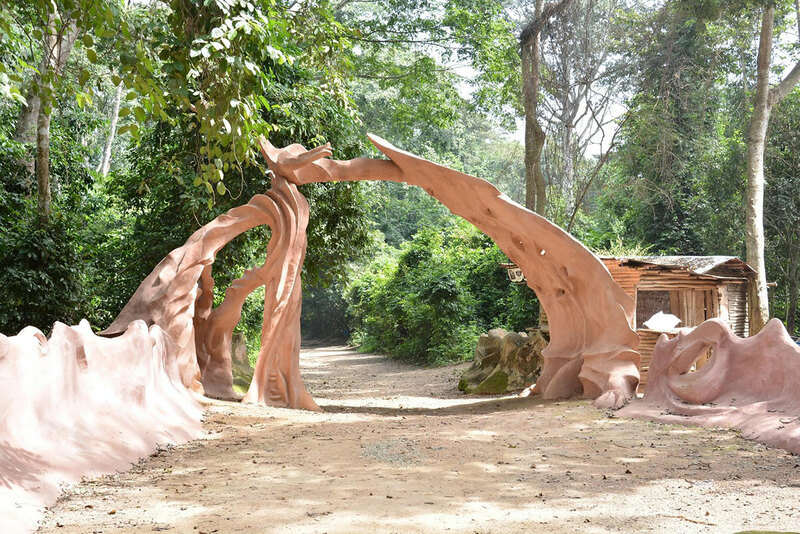 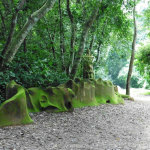 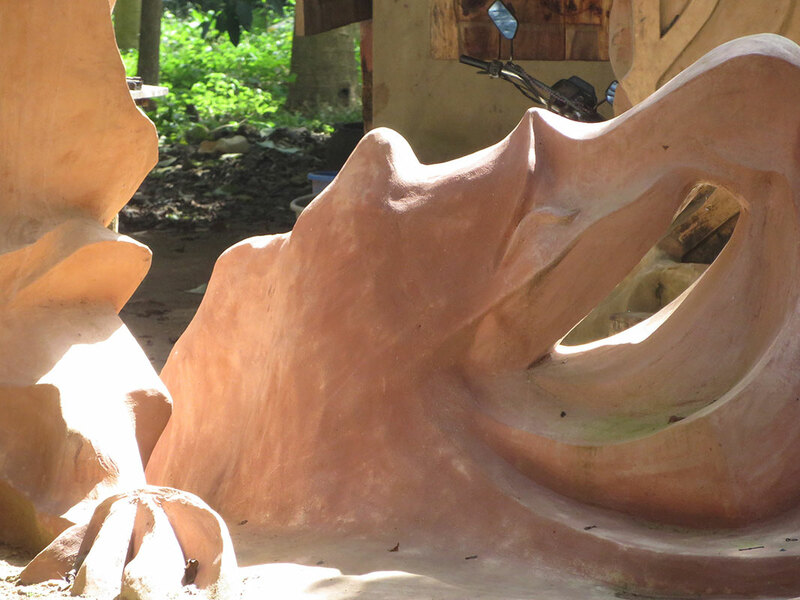 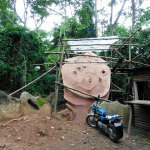 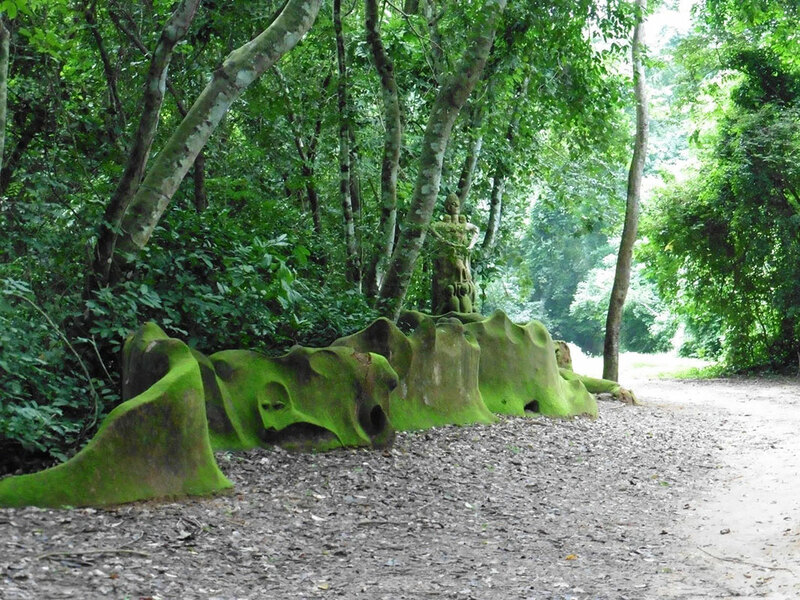 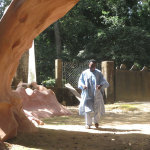 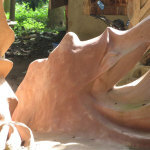 It was recreated from photographs and memory by Adebisi Akanji, who taught Susanne the art of working with cement, and Nurudeen Adebisi, his son and also an accomplished artist. 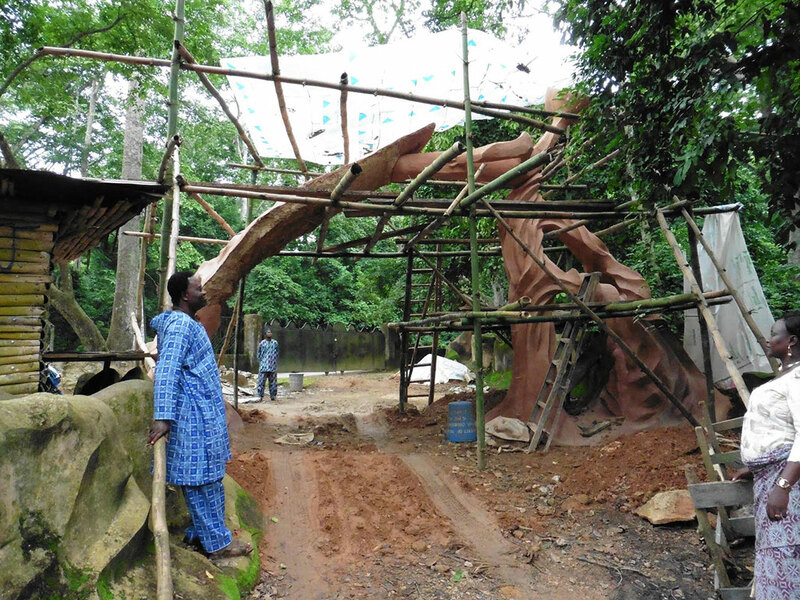 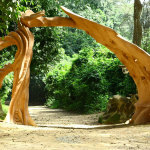 The Arch is sculpted with cement reinforced with iron rods and netting. 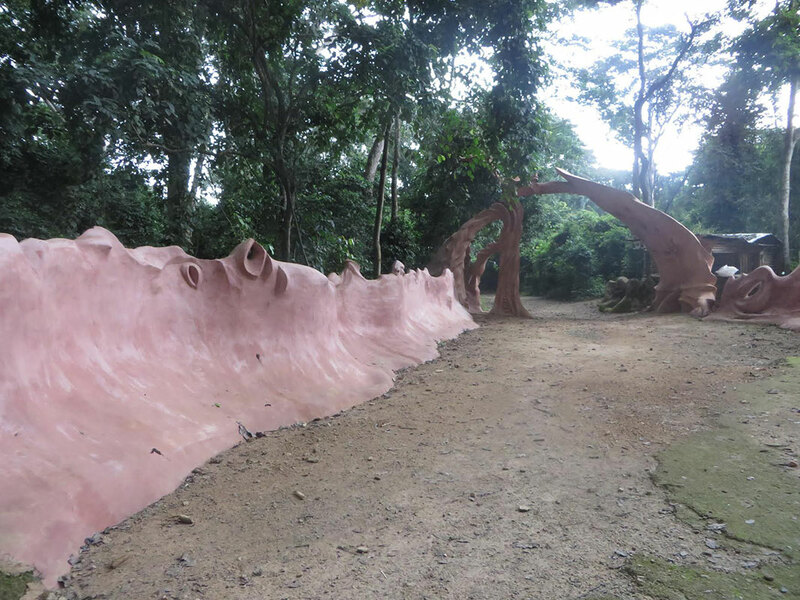 We thank the Republic of Austria for generously funding this Restoration.